One of the Session SaveHandlers that Zend Framework 2 provide is DbTableGateway Save Handler that utilize Zend\Db as a session save handler. How to combine authentication service with it ? Let’s learn about it! Save Handlers themselves are decoupled from PHP’s save handler functions and are only implemented as a PHP save handler when utilized in conjunction with Zend\Session\SessionManager. It’s a class that extends Zend\Authentication\Storage\Session and utilize SessionManager to set Db Handler. Remember, that setting up service via closure is bad for performance, so we need to make a factory class for it. This is a Class that call AuthStorage class. This is a controller that place a Login Form and authentication service. Controller creation need a factory, so we need to create a factory for it. it’s a page that be redirected from AuthController. I’ve made a test only, you can check in real application. Real application should has authService that injected by EventManger in Module::onBootstrap. Now, try to login to application with url : http://YourZF2app/auth with username : admin and password : admin. 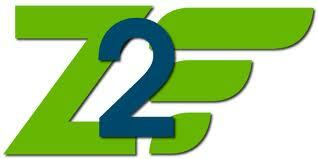 Zend Framework 2.2 released. It comes with ton of new features. Now, I will show you how to set event listeners in Configuration File. Event Listeners can be registered in config/application.config.php. Zend Framework 2.2 is coming, more feature, more improvement.One of features that i like is DbTableGateway adapter for Paginator that can be used at your Table Class to make our life easier. The current ZF2 doc is using DbSelect Adapter, so now i will post an example how to use DbTableGateway Adapter. Note : currently, you can pass $where and $order to DbTableGateway adapter after tableGateway parameter.